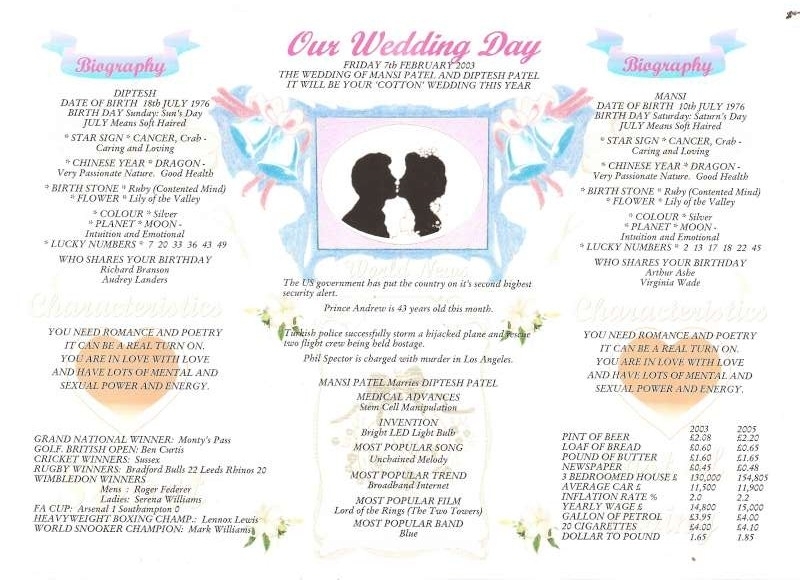 A Personal History Chart giving upto 60 facts about one of the most important days of someones life, The Day They Were Married. Each personalised chart shows a Biography, Sensual Characteristics, Virtues,of each of the couple with the World News, Leaders of the Time, Cost of Living, Entertainment and Sporting Moments for that special day. A wonderful gift which will be treated as an heirloom, for the happy coule and loved ones. Commemorate any day or anniversary in the last 110 years. 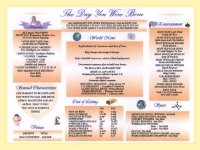 All the charts are A4 in size and laminated to make this keepsake last a lifetime and beyond. Read about your Birthpath/Life path. See your lifes destiny and hearts desire. Find out your inner dreams..